I love walls (and floors as well) and Sims 4 basegame is missing lots of the good ones. Currently I am working on new walls and on the way there is much to discover. First discovery I made on walls: There are 2 different kind of textures. I would like to share my discoveries with you fellow simmers and hope for your input as well. Let us explore techniques and develop best practices on wall creation together. 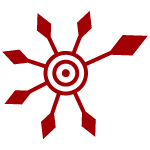 The standard is the small one with 256px width. Textures will be stretched ingame. Thus it is neccessary to create them as larger textures and compressing them before saving for the game. For creating single tile textures I start with a 256×1280px texture and make a pattern that is seamless to the right and the left side. When finished I cut off the top as much as needed for the other 2 sizes. Afterwards I resize all three textures to their saving formats and save them as dds-format. 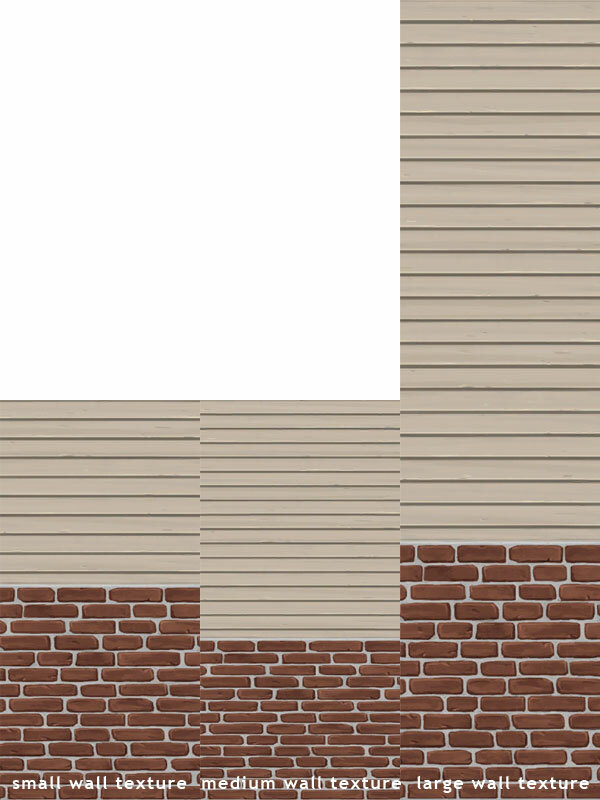 But there are also wall textures some consisting of 2 or 3 walls width. 2 times standard for the small walls, 3 times for middle and large wall size. So what's the purpose of the wider textures? They reduce the repition on longer walls. Same as for standard walls goes for wider walls. They will be stretched ingame and need to be created on larger canvases to not getting a wrongly scaled ingame look. 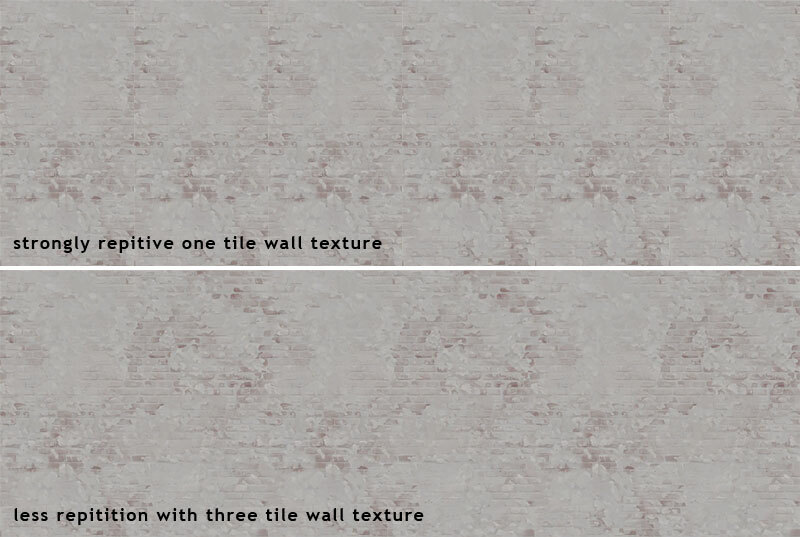 Creating wider walls is a bit more complicated as creating single tile textures. I start with 1024 × 1280px and make a pattern seamless to the left and right side. Those will do for large and middle size walls. When finished I cut of the upper part for the middle size. Then I take the same large wall original into a new file of the small creation size. It does not has the same width (768 instead of 1024): one third is cut of. You can't just scale it, because this will result in smaller texture parts ingame giving a different impression of the wall. Have a look at the example of EAs original wide wall (Fig. 3) and you can see that the small version shows a smaller part of the texture. Because you cut one third off, you need to redo the seamlessness for the small texture. When finished I can resize all three textures to their saving dimensions and save them as dds. The potential of the wider textures seems limited though. I found only originals using it, where it does not matter (much) when the order is broken. My own texture has a much higher need for displaying the correct order, when it comes to crossing corners. Sometimes it works, sometimes it brakes. The "funny" thing is, it depends on wall height: Even with exaclty the same textures parts on medium and large walls one might brake and the other works. Second it seems to depend on corner position. If you have more information, please share it. So far I think wider textures are reserved for textures with high braking tolerance. 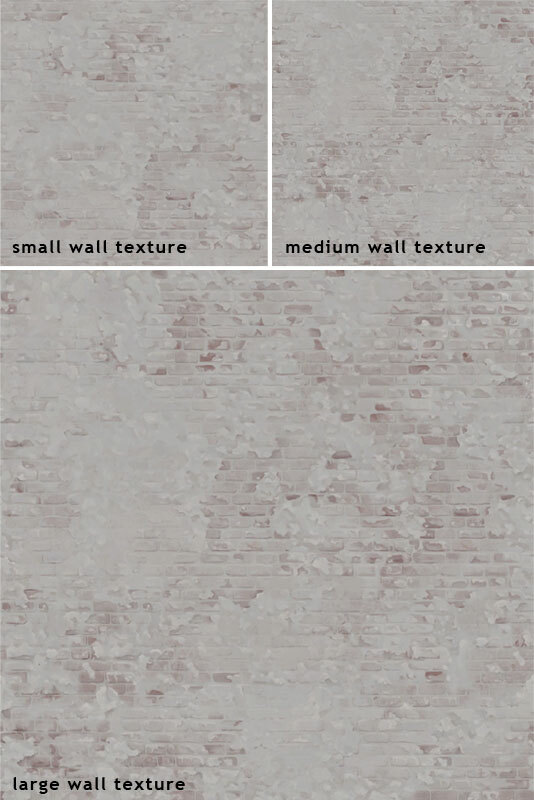 Wall with trims, tiled and brick walls often have a normal and or specular map. The normal map defines hights and depth and is usefull on bricks and rocks to give them more 3d effect. The specular map defines the shiny parts and is especially useful on tiles and materials made of glass or metal. Even flat walls might have those extra graphic files but often those are empty. Sims 4 Studio exports normal and Specular maps and allows you to edit them. All of the images associated with a wall, including bump and specular, can be exported at once with one click of the Export All button. This will arrange all of the walls in individual folders named by height. The only exception to this is walls that have an auto corner feature. Currently Studio is pulling the corner walls into the .package and those can be accessed from the Warehouse tab for export and import. If you want a wall to have auto-cornering you must clone a wall that has that feature already to use as the base for your wall. How can we get rid of auto walls (game chooses another corner than I would) ingame? 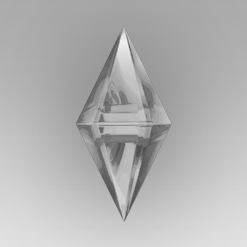 Hope you join and enjoy the Sims 4 wall discussion here :-)! Feel free to post links to tutorials, best practices, tipps and tricks as well. I am going to add wall tutorial links and links to your intructive posts here in the first post. I am going to update this post as more information is gathered in this thread. This is really interesting and helpful information...thank you for posting it. The pictures of how to size the walls are especially useful as this is a point of confusion for many people first starting to recolor walls. 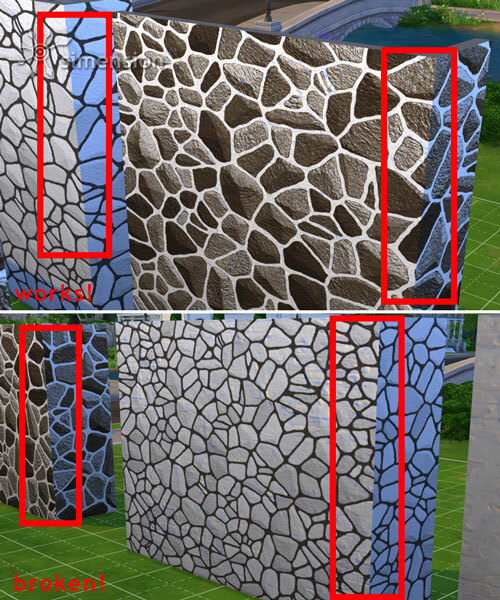 Many of the walls do have normal and specular maps even though some percentage of those are "empty" in that they are a solid color that doesn't change the appearance of the wall in the game. 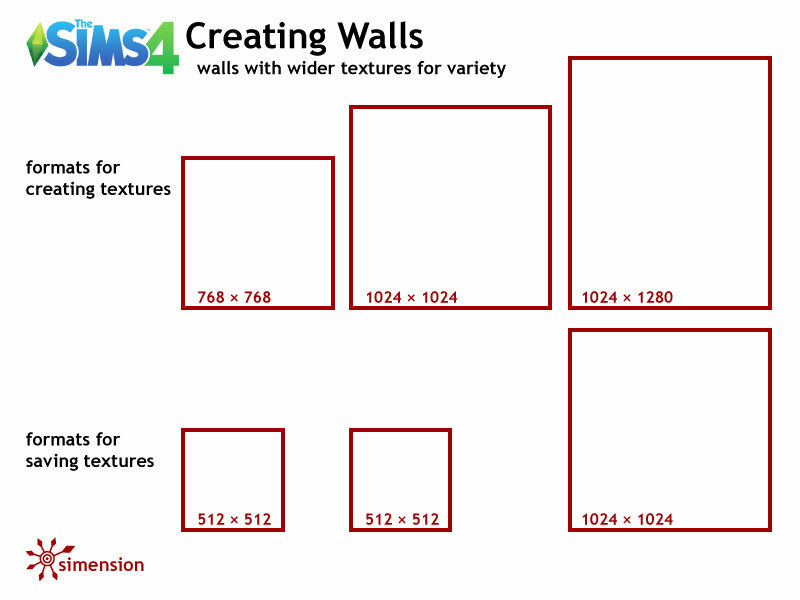 Currently, if a wall has these maps, S4S is pulling those into the .package so the creator can edit them if they choose. At some point it will be possible to do this editing with Sims 4 Studio but for now they can be swapped out using s4pe. I updated my tutorial to include a brief discussion about this so that people can choose their wall clone based on whether they want those maps or not. The automatic wall behavior you show above appears to be governed by the number of tiles you are covering with that wall. I played with it a little and the issue reliably appeared given certain room dimensions and was reliably absent with others. Thank you for getting the conversation started here. I'm hopeful that others will join in too I hope you will not mind but I am going to put a link in my tutorial to your post so that people can look at the wall size illustration you've made. I could not explain it as well as your pictures do. Thank you for your valuable information about normals and speculars. I added them in the first post. And yes sure, you can link here. Would love to see some ppl join us here and explore the fascinations of walls. With my questions about automatic wall behavior I wasn't refering to my new walls but the ingame wall sets. There are several walls existing in parts especialle in the brick section... bricks without side trim, with wood and bricks side trim. Those just do what they want with a tendency to put the trom on the right. This is especially a pain, when your architecture has some one tile walls and you want the trom to be on the left side. You just can't convince the game. And I am noone who like to build how the game behaviour is trying to force me. I'd love to be able to decide myself like as in building kitchens with turning the auto function off. But there is no off for auto walls. S4S preview version is now pulling the bump and spec maps again. It is also pulling a special set of wall images that only some of the walls have. These appear to be the ones with side trim that you mentioned. You might be interested in taking a look at those. Thank you orangemittens for this information. Gonna enter new ground now - namely working on packages outside S4S. Ihave a question first: Yesterday I finished uploading all textures to my wall. I made it with the version not pulling the bumbmap. You said in the bug report thread that I can see it because it is linked but it is not included. Its a wall matching Maxis original, thus I don't need to edit the bumbmap for this wall. 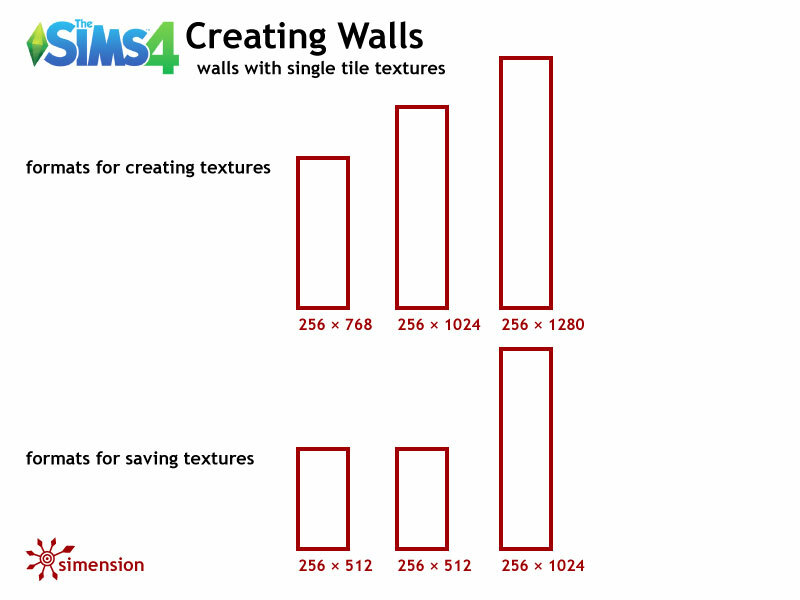 Do I have to include it anyway, so that other Sims players using the wall will have it or is it linked with a realtive path to the game content so everyone will have it? If I need to pull it into the package, how can I do it manually? This package has 10 Recolors, using 40 imgs (thumbs and all 3 sizes). It took ages to finish all 10 swatches. Crossing fingers for me, that I don't have to do this work again :-). If you made this wall with the old version and the bump does not need to be edited you are fine without getting it and putting it in the .package as long as the bump is an EA bump. Players will have that EA bump in their game folders and your .package will be referencing that EA bump file. This was really good news, thank you very much. I tried your mini tutorial on adding colors to wall swatches and it perfectly! Thank you for this as well. Wall is finished... gonna work on the promotion pictures now. Thank you for posting this Simension. I just made my first mural wall with your help. Congratulations, Sierra! Good to see someone else joining here, Sierra. This is not meant as private conversation with orangemittens though I appreciate her input very much :-). I have some more infos waiting to be shared here about the strangeness of ea compression, but can't take the time right now... want to have a look at not shrinking the textures as well... the way the tool wallez does it. For now I need to work on finishing the most important parts of our german game guide first to have the time and freedom I need for my wall projekt afterwards. If anyone has new discoveries to share about walls, please let us know! I have a question (OK, several questions)for all of you. There is a definite need for half-walls in the game (transparent above the chair rail) for those of us who build open plan contemporary houses. Is it possible now that wall-making is possible, to build one with transparent texture on top, so that it appears as a half-wall? Also, are the fence things in the build mode considered walls, or are they different objects? That's an interesting question about what would happen if you made part of a wall transparent. I haven't tried it myself but my guess is you would end up with two planes that stood on either side of an empty space if you assume EA's walls have the ability to recognize alpha which I'm not certain that they do. If you tried it, it would be an experiment. Fences are different than walls yes. What I did in TS2 when I wanted different shape half walls is I made them windows, but only made the bottom part of the frame, so you could have it as a plain timber top or even make something fancier, but then just make the whole top masked out. The only problem was sometimes in a corner you got a little triangle of wall top.